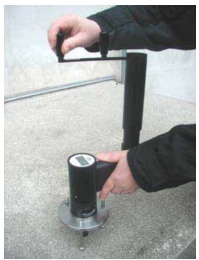 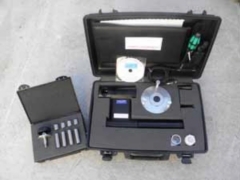 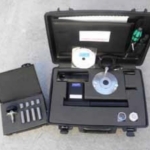 The POWER test system is used for proof-load testing of anchors in concrete. 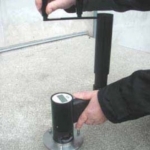 An adaptor of the appropriate size is threaded to the anchor bolt. 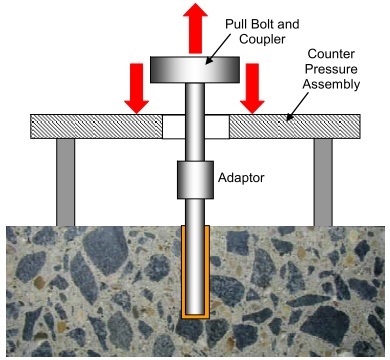 A counter pressure assembly is placed on the concrete so that it is centered with the anchor bolt. A pull bolt with coupler is threaded into the adaptor and attached to a hydraulic pull machine, which is the same as used for pull-out testing. 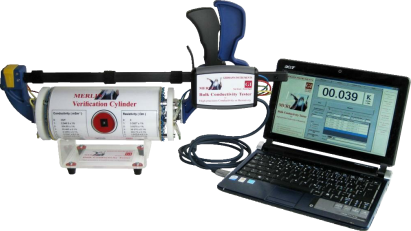 The load is increased to the required proof load and held for at least 10 seconds. If the load is maintained during the hold period, the anchor passes the proof load test.